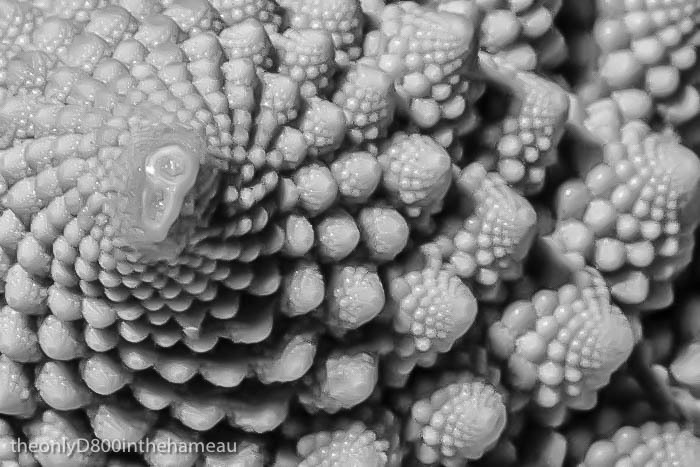 Quite some time ago, before I even set up this separate photography site, I produced a post containing some close-up images of a romanesco. For the uninitiated, romanesco is a – rather tasty – cross between broccoli and cauliflower, with a very distinctive appearance that reminds me of a fractal. And since there is such a thing as fractal geometry, here is another image that qualifies for this week’s challenge.